So it was long overdue for the American marketplace to support and encourage a project like this. As time went on, the design evolved. The layouts were more elegant, the art direction of the photo spreads were more conceptual and smart and the pace was engaging. The art director was Ebelinda Antigua. She developed the art direction and gave it such a classy, high-end fashion feel but coupling it with some fun. I eagerly anticipated the arrival of each new issue at the newsstand every month. Eventually, Ebelinda moved onto new opportunities and landed at Working Mother magazine where she brought here design magic to their pages and brand. Over at Latina, new art directors came and went lending their design skills to the pages. They were talented art directors so I am not taking anything away from what they did but it just didn’t work for me. At times it went from being too minimal to chaotic to overly European. I stopped following Latina on a monthly basis and checked in only once in a while. It’s quite fair to say I became disappointed with the overall creative direction of the title after Ebelinda left the helm. Well, well, happy days are back! 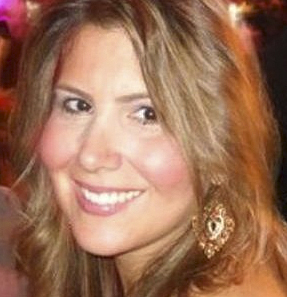 Ebelinda is back at the helm of Latina as Creative Services Director. The latest issue, which has Naya Rivera on the cover, just brought such a big smile to my face. The type is once again elegant, display and body type are complimentary and playful with a sophisticated edge; the pacing of elements on pages are easier to follow from point A to B; the graphic boldness of the photo direction and the cleanness of the grid. I am glad she is back at the helm of this magazine because its valuable to the publishing landscape, its readers and it deserves to have a strong visual voice in which to speak. Can’t wait till next month. I agree! Ebelinda’s talent has transformed the magazine into a visually-captivating tool that is a monthly must-read!